Gas prices in South Central Ohio increased by four cents over the week to an average of $2.816 per gallon, according to AAA East Central’s Gas Price Report. Most states in the Great Lakes and Central region are seeing cheaper gas prices on the week – however, four states saw prices increase. Inventory levels continue to hold slightly above the 52 million barrel mark. According to the latest data released by the Energy Information Administration (EIA), this is the lowest inventory levels of the year for the region and about 2.6 million below levels at this point last year. Despite the price increase experienced by South Central Ohio, Portsmouth emerged with some of the cheapest prices reported. Monday’s average price per gallon of unleaded gasoline for South Central Ohio was $2.816. The average price last week was $2.775. The average price for the week a year ago was $2.274. Around South Central and Southeastern Ohio, the lowest price per gallon was reported as $2.711 in Logan and $2.721 in Portsmouth, while the highest reported prices were $2.923 in Washington Court House and $2.871 in Jackson. 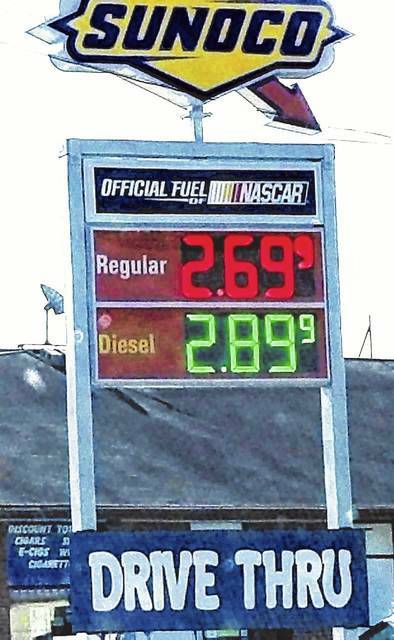 At $2.92, the national gas price average has dropped four cents since the beginning of June. Monday’s average was three cents less than a week ago, six cents more than a month ago and 58 cents more expensive than a year ago. On the week, only eight states saw prices increase, while all others dropped by as much as 13 cents or remained stable.